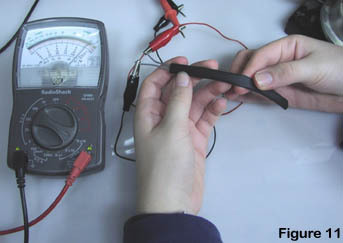 Set a VOM meter to read ohms. 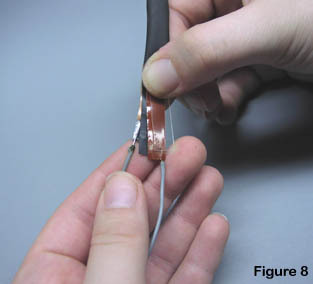 The sensor we built had a nominal resistance of approximately 20K ohms, see figure 10. 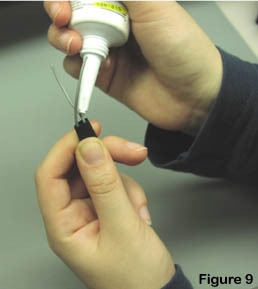 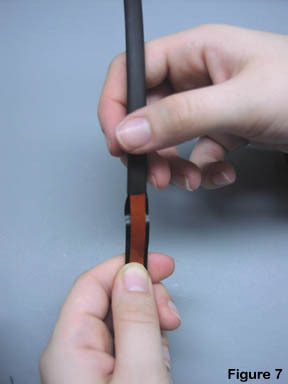 As the sensor is bent in one direction the resistance decrease in proportion to the bend to approximately 2k, see figure 11. 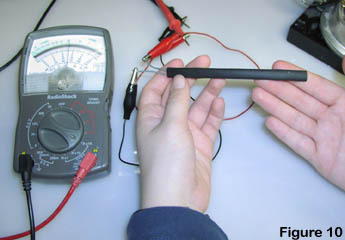 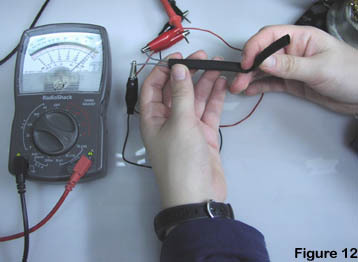 Bending the sensor in the opposite direction also decreases the resistance in proportion to the bend to 2K ohm, see figure 12.